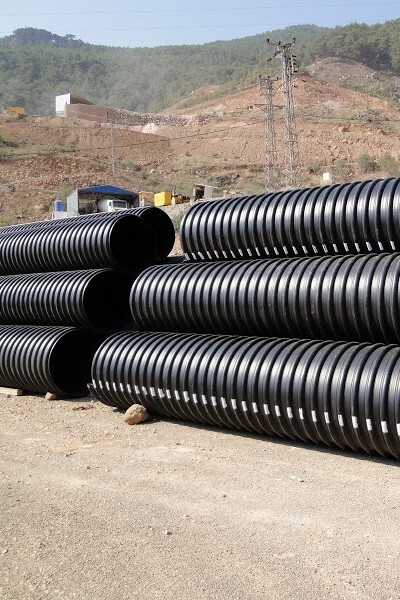 Spiral Corrugated Pipes producing by HDPE raw and usually called larger diameters corrugated pipes (diameters of 500 mm and above) are preferred for infrastructure projetcs. 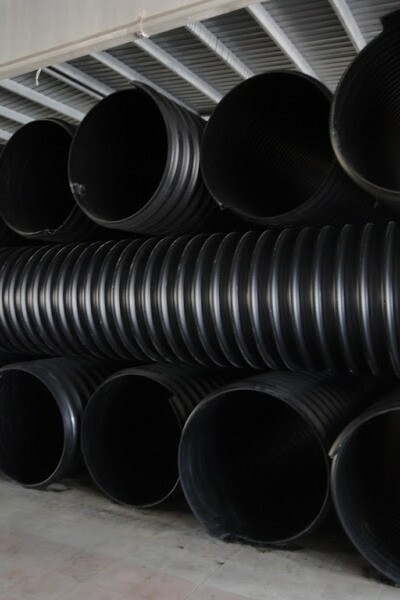 In the welding process of Corrugated Spiral Pipes combined by electrofusion coupler method therefore once assembled with tightness level reached a maximum and doesn’t disperse on. Even if the terrain is gravelly which will be laid is prevent fracture due to the resiliency. The lenghts are usually produced as 6 meters and 7 meters. However, in order to provide advantages in transportation costs in the local shipments 14 meters and produced 13.5 meters for abroad, the vehicles are loaded with the maximum volume.